Metabolism is the complex process of transforming food into energy. Every time you eat, your body decides what must be transformed into immediate fuel, what gets shelved for easy access, and what goes into long-term storage. This is how your body keeps you and your biochemistry moving along through life. Ideally, this should work smoothly, but metabolism can experience disruptions or imbalances, and that can lead to metabolic disorders such as insulin resistance and diabetes – signs that the metabolism is malfunctioning. Unfortunately, this happens a lot. There’s no doubt our society has a metabolic problem. In fact, close to 50 percent of the population has some sort of insulin-resistance-fueled blood sugar issue, like pre-diabetes or type 2 diabetes, and that is certainly a sign that something is wrong. As a functional medicine practitioner, I see firsthand how out-of-control blood sugar can wreck normal metabolic functioning. When the body gets overloaded with more sugar than it needs, this increases inflammation, which impedes many different biochemical processes. But, they’re vegetables! How can they be unhealthy? Carbohydrates are your body’s go-to source for energy, and the carbs you eat are converted to glucose in your body for this purpose. However, when eaten in excess, carbohydrate-rich foods can seriously spike blood sugar. While you may be avoiding obvious carb-rich sources such as pasta and bread, too many starchy vegetables like sweet potatoes and winter squash can push your blood sugar over the edge. Instead, opt for more non-starchy vegetables like dark leafy greens and Brussels sprouts, which work to lower inflammation, decrease blood sugar, and maintain a healthier metabolic state. As you were growing up, you may have heard more than once that too much fat can cause heart disease, clogged arteries, and even early death. The problem with low-fat foods is that they are high in sugar and additives to restore the flavor that is lacking in foods without fat! This fat-is-bad notion was a misconception in the past, but more recent research has shown us that this is simply not true. In fact, fat is an essential macronutrient and tool for achieving a healthy metabolism. By transitioning your body from a sugar-burner to a fat-burner by limiting carbs and increasing healthy fats (the key concept in a ketogenic diet), your blood sugar can finally begin to stabilize. Bonus: You will also enjoy decreased inflammation and other markers of metabolic disorders. 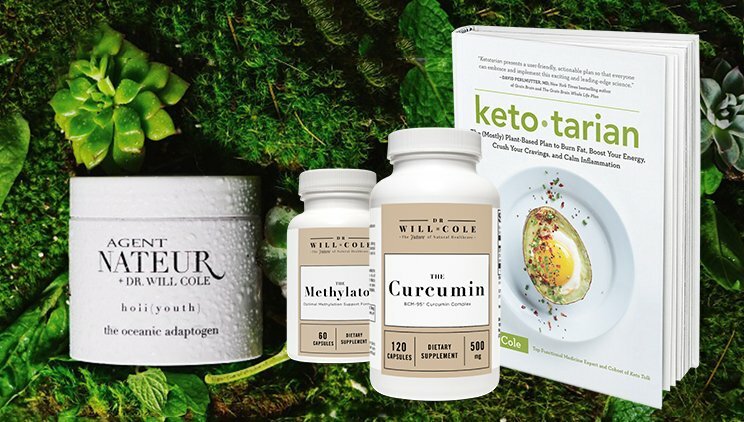 Instead of low-fat everything, reach for healthy-fat-rich wild-caught fish or plant-based sources of fats like coconuts, olives, and avocados (I utilize all these healthy fats in the plant-based keto-style diet plan featured in my book Ketotarian). You’ll not only be helping to regulate your blood sugar, but you’ll keep cravings at bay to help you avoid other metabolism-busting junk food. Okay, you probably didn’t really think sugary foods were healthy. We all know to avoid white sugar by now, but people aren’t always as sensitive as they should be to other sugars that have a “health food” reputation, like agave syrup, real maple syrup, brown rice syrup, coconut sugar, honey, and other natural alternatives. Although these are better choices than white sugar, they can still raise your blood sugar beyond where it should be going. For example, agave nectar is often labeled as low-glycemic, so it has become a popular replacement for sugar at coffee shops and in various food products. However, this is an overly simplistic claim, in my clinical opinion. Although this sweetener raises your blood sugar more slowly than white cane sugar, your blood sugar could go just as high. It will take longer to get there, due to agave’s fructose content, but arguably, it’s worse to have your blood sugar stay high longer. On top of that, fructose is harder on your liver than sucrose, which could lead to fatty liver disease as well as insulin resistance. Additionally, other natural sweeteners are heavily processed and contain unhealthy additives, which also contribute to insulin resistance as well as increased inflammation. Monk fruit extract and stevia are some of the best options in their organic, unprocessed forms – but all of them are best used in moderation. The more sweet tastes you experience, the more you will continue to crave sweet tastes, no matter where they come from! I suggest easing out of this habit, but as you work on this, my sugar guide ranks all of the natural sweeteners. You can use it to make better decisions. Gluten – it’s become a familiar term to everyone, not just those with celiac disease. For years we’ve been hearing about gluten’s impact on overall health. As gluten-free grains like quinoa, barley, and rice step in to fill the void left by those beloved gluten sources like wheat, we may feel virtuous and stoic. Yet, these gluten-free grains are high in amylose sugars that can still increase blood sugar and contribute to insulin resistance just as much as wheat. Also, because these grains have proteins that are similar to gluten, those with gluten intolerance may still react to them. It’s a good idea to limit grains of all types as much as possible, in the name of blood sugar balance and a functioning, healthy metabolism. Sure, fruit is a great source of antioxidants and other nutrients as well as natural sugar in the form of fructose, but sugar is still sugar to your body, regardless of the source. Don’t overlook this common source of blood sugar spikes. A little fruit is good, but a lot of fruit can quickly throw your metabolism out of balance. The best choices are low-fructose fruits such as blueberries, lemons, limes, and melons. Use those to satisfy your sweet tooth and always eat fruit mindfully.